A music event powered by your audience. 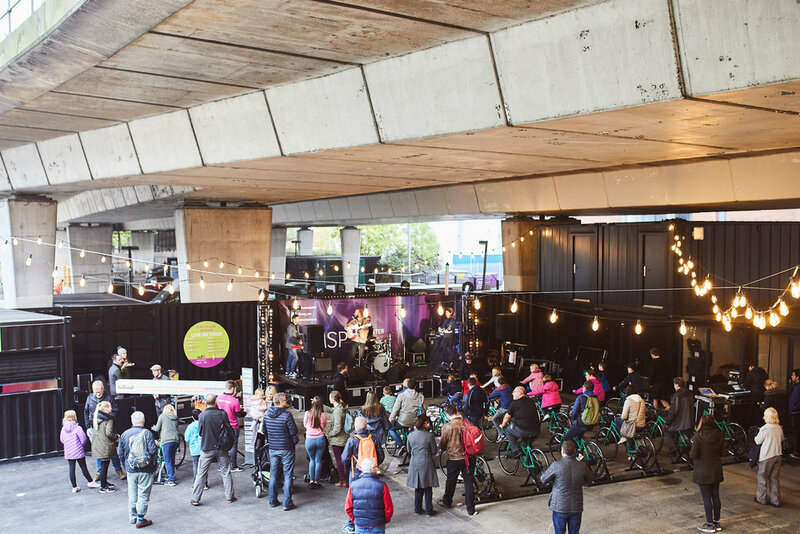 Our Bicycle-Powered Music Stages are perfect for indoor or outdoor live music events, concerts, discos and DJ set-ups. 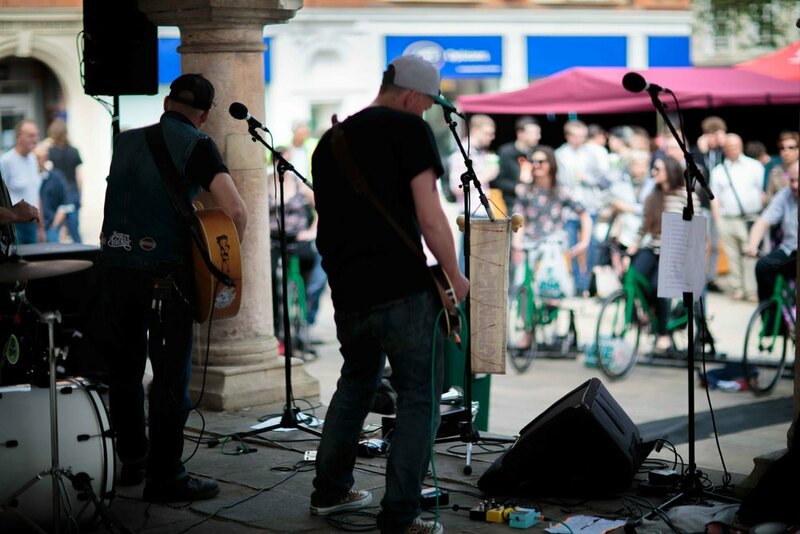 Our smaller systems are perfect for presentations, broadcasts and smaller stages. 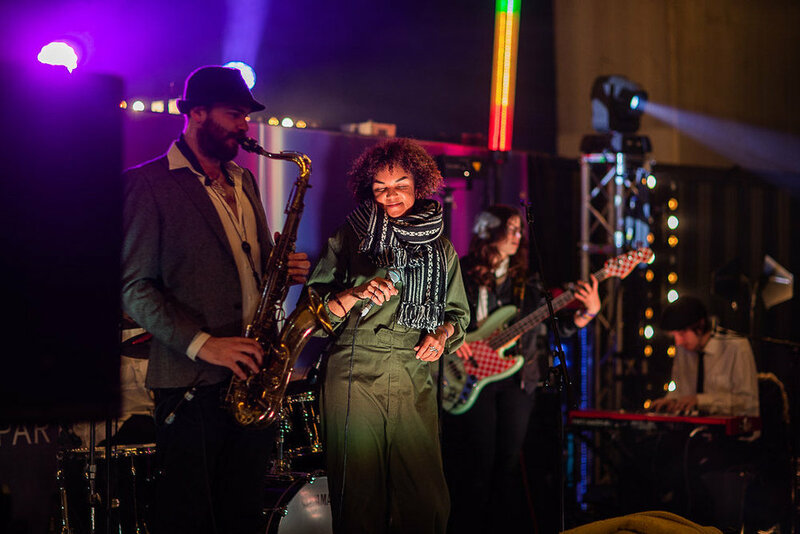 Our live music systems run without batteries or mains supply; it is the audience that has to provide all the energy required for the performance. 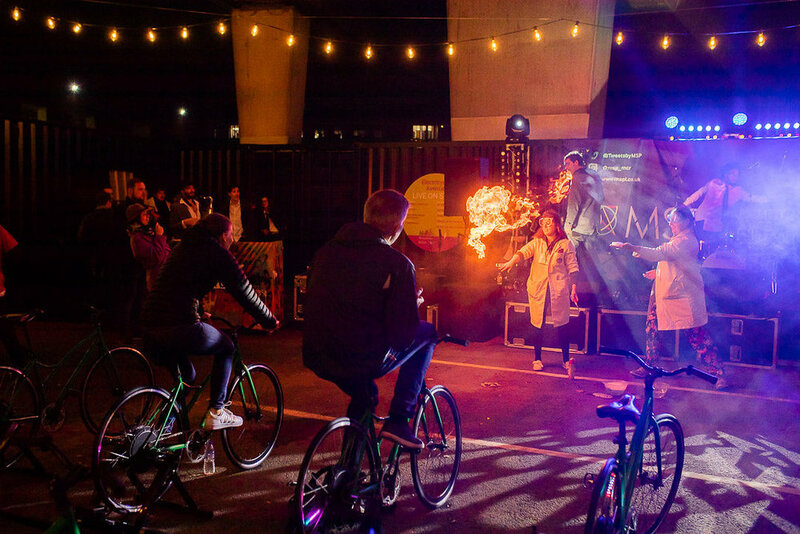 Pedal power is much more than a cleaner alternative for mains electricity; bicycle-powered performances create a unique atmosphere in which the audience can cycle, dance, laugh and enjoy the music as they generate all the power required to keep the music alive! 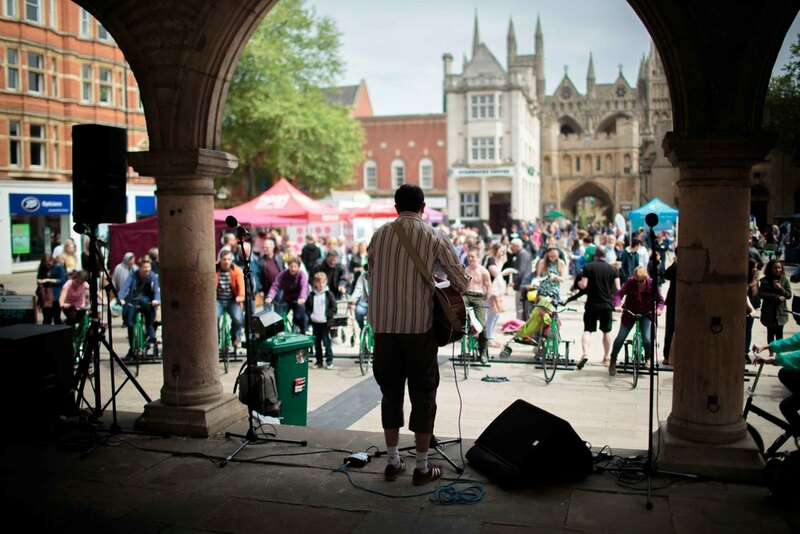 Our Bicycle-Powered Music Stage uses the energy generated from up to 20 adults and children pedalling or hand-cranking. The audience becomes part of the performance, providing all the power for the sound system. We require no mains electricity; the audience become the human batteries and are responsible for keeping the music alive...And the party going! Over the last few years we’ve been trawling friends' attics, charity shops and markets for 70’s and 80’s vinyl records. We now have a fine collection of records with everything from 'Walk Like an Egyptian' by the Bangles to 'Word Up' by Cameo. 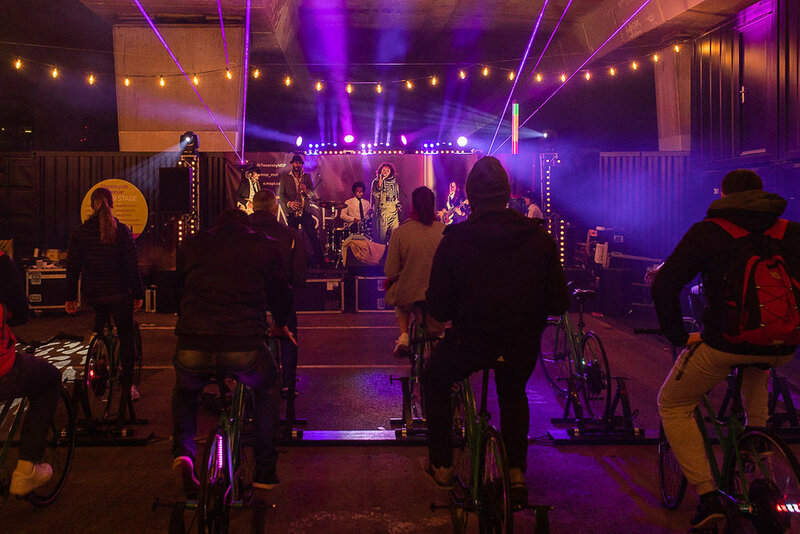 Anyone can come along to our Bicycle Disco, choose a record and become a DJ for an afternoon and it's up to you to pick the right record to keep the cyclists going! 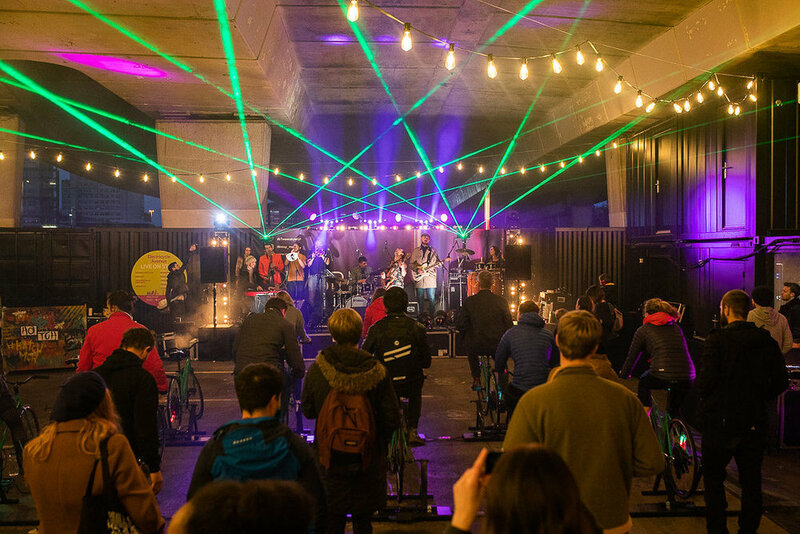 There are no batteries or back-up generators; the entire installation is powered by bicycle; when the pedalling stops, the music stops allowing the audience to effectively 'vote with their feet'. It's a great way to get kids involved, especially when many haven't even seen a record before, never mind getting the opportunity to play one! Taking inspiration from the iconic ghetto blasters popular in the 1980's, our custom-built Electric Pedals Boombox is a fun and unique way to bring music to your event. The sound system is portable enough to be transported and set up anywhere. With two subwoofers and two detachable high-end speakers, it packs a punch! Yet it is super efficient and relies on the pedal-power of just a single adult or a few school children. Bluetooth compatibility means you can play your favourite music from your phone, ipod or laptop. Alternatively, hook up a pair of turntables and dust off your 80’s vinyl for the full retro DJ experience. 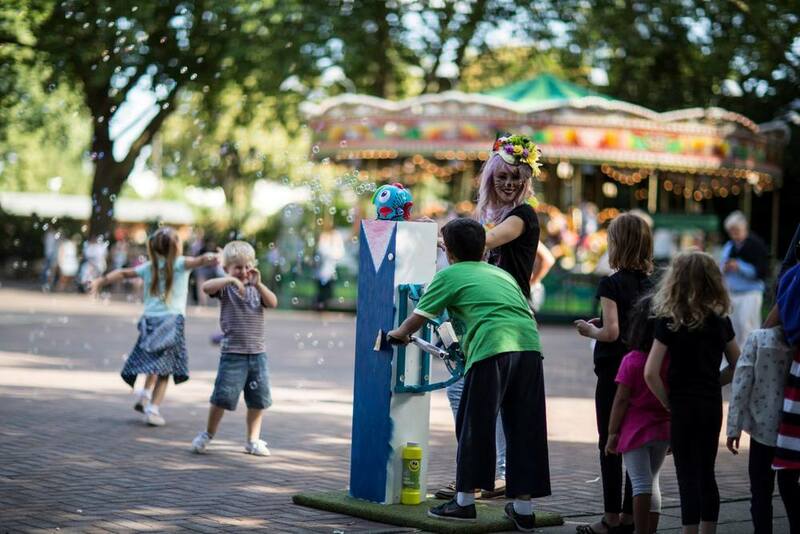 Whether you are throwing a small rave at a festival or are looking for pedal-powered music at your school event, the Bicycle Boombox is ideal. Bluetooth compatible for use with phones etc. You can hire our team of friendly experts to support your event. We provide and manage all the equipment; energy-generating bicycles and our unique power management system with power feedback display. 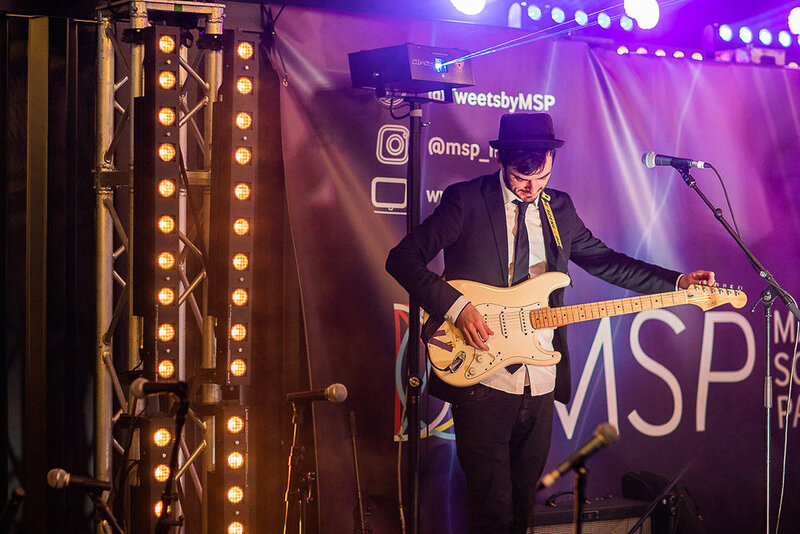 All you need to do is arrange supply a sound engineer for live music events and supply some event marshalls for the larger events. Contingency plan in case of rain. This could be a large marquee or indoor space. Need more power? We can add more Bicycle Generators and Bicycles. We strongly recommend you consider a contingency space in case of bad weather. Please refer to our FAQ if you have any further queries. If you cannot find the answer you are looking for or to request a quote, please get in touch.